Have you been tattooed poorly before and it was like ages ago since then? Or, there’s this one time that you and your friends got really drunk and you decided to get a terrible tattoo all of a sudden? When you’re one of these people, I am pretty sure by now you would do anything to hide the “mistakes” of the past. 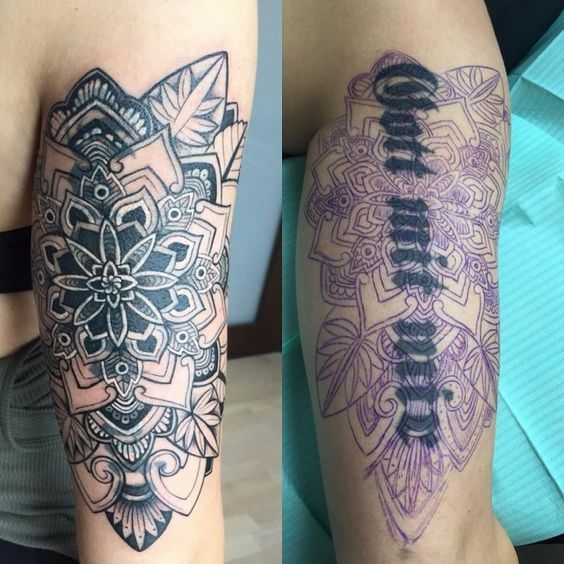 Cover-up tattoos are ingenious designs that overwrite previous tattoos or unfinished ones. The amazing thing about these designs is how they effectively hide the old tattoos and make the skin space become attractive again. The subjects greatly depend on the tattoos needed to be hidden. It could be deeply colored to overshadow the old one, or a design that integrates the old tattoo into a new larger, more vibrant one. Some cool cover-up tattoos also hide scars from accidents or removed tattoos. So, if you want to move on from your old perpetual outfit, you don’t need to worry too much. Do not decide on removing the old tattoo just yet. Because with a little creativity and another ounce of courage, you may enjoy a new masterpiece without having to spend new and more skin.